The small bowel commonly known as the small intestine is about 20-feet long and the longest in the GI tract. It is coined as small because it is narrower than the large intestine. 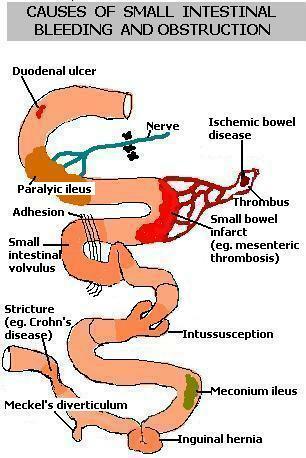 The small intestine aids in the absorption of nutrients and digestion of food. It constitutes of the duodenum, jejunum and ileum. GI bleeding or gastrointestinal bleeding occurs in the small bowel, when there is some abnormality in the inner lining. Arteriovenous malfunctions or AVMs are the main cause of such bleeding in people over the age of 50. Endoscopy and enteroscopy The small bowel and stomach are examined using a thin, long tube with a light at the end of it. The scopes capture images which are displayed on a monitor. Capsule endoscopy In this procedure the patient swallows a small capsule the size of a vitamin pill. A tiny wireless camera is present inside the capsule which captures at least 50,000 images as it passes through the intestine. 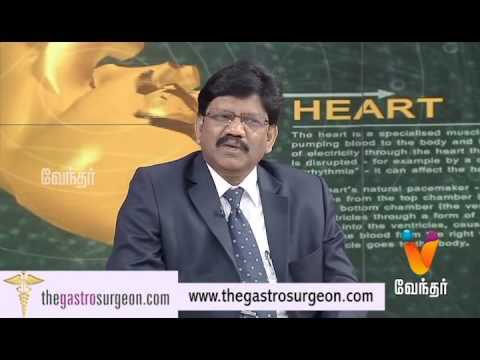 Balloon endoscopy Deep small bowel enteroscopy is performed using inflatable balloons and overtubes. Abdominal x-rays X-ray tests that are commonly performed for small bowel bleeding are small-bowel follow through, enteroclysis and CT enterography. Small-bowel follow-through uses white, chalky liquid called barium which is swallowed and x-ray images of the lining of the intestine are captured. Large abnormalities are usually captured easily in this test. Electroclysis study also uses barium swallow but in addition, a small catheter is advanced down the nose into the esophagus, through the stomach and into the small bowel. Pictures captured through electroclysis study are high-resolution. CT enterography is a normal CT scan, except that the patient swallows dilute barium along with receiving IV contrast. Extremely detailed images can be obtained with this test. Quite often these bleeding points can be occluded with the help of interventional radiology. Occasionally they may require surgery for correction.